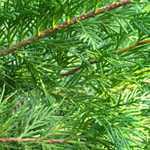 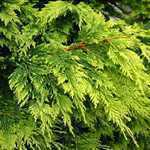 Cupressocyparis leylandii `Blue Jeans` (Cloud Tree) is a member of Leyland Cypress family growing bushy and wide with an original blue/green colouring. Fast growing as with other leyalndii but responds to regular trimming. 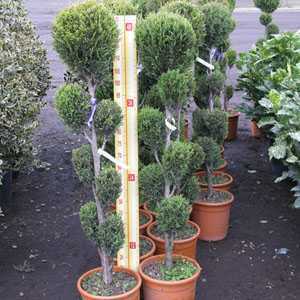 Excellent as specimen or as hedge and can be grown in full sun or part shade.